A few weeks ago Chuwi has announced the newest laptop, the Chuwi LapBook Air that will be a competitor Apple MacBook Air. Of course Chuwi will offer a much cheaper price than the MacBook Air, but whether the specifications of Chuwi LapBook Air far less when compared to Apple MacBook Air? Although this laptop has been introduced a few weeks ago, but the company did not disclose the specifications diusungnya in full. 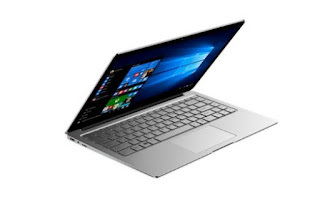 Finally this time the company revealed the specifications Chuwi LapBook Air, which turned out quite reliable specifications to compete with the MacBook Air. Chuwi LapBook Air itself comes with a larger screen than the MacBook Air, which is an area of ​​14 inches Full HD 1080p resolution. This laptop body is also not less thin with MacBookr Air, where Chuwi claimed the thinnest part LapBook Air only 6mm thick. As for the weight is only 1.3 kg only. Recently the company announced if LapBook Air will come with 8GB of RAM and 128GB SSD storage. Even this laptop is still equipped with M2 slot to add SSD when the user feels lack of storage. Unfortunately only this limited information has been obtained for Chuwi LapBook Air. Not yet known for the processor that will be carried by this laptop, but it is expected the type of kitchen runway that carried Chuwi LapBook Air proportional to the processor carried by the MacBook Air. In addition, when the date of discharge and how much the price is priced for this laptop is not yet known.